What is on these channels? How do I get these channels? Although the channels appear as part of the Freeview channel lineup, the channel numbers you see are there to allow you to watch the channels via an Internet connection. The official requirement is a “Freeview HD TV receiver made after March 2011”. Freeview HD receivers are required to have an Internet connection built-in, and support Internet-enabled services. You need to ensure that your TV set or set-top box is compatible, and has a suitable connection to your Broadband Internet router. For help and advice on connecting your TV set or set-top box to broadband, see our Connect Your TV to the Internet section. You should also note that watching video from these services will count as part of your download quota over Broadband. If you are on an Internet service that has a download cap, you may find that you are charged extra should you exceed your monthly download allowance. 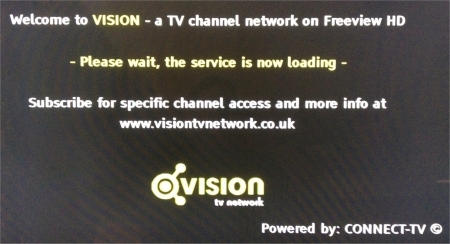 We’ve been contacted by a few Freeview HD viewers reporting problems accessing the service. We too are having problems. Where can i get to download the connect tv software ? Is it free or paid?